Parkland shooting survivor David Hogg called the effort "ridiculous." A bill filed Monday aims to repeal gun control measures that were passed in response to the school shooting that killed 17 people in Parkland, Florida. Hill told NBC News in a statement that he filed the bill to repeal the regulations in the Marjory Stoneman Douglas Public Safety Act because he took a "solemn oath to support, protect and defend the US Constitution." "The referenced Act violates the Second Amendment to the US Constitution," Hill said in a statement. "Therefore, I am obligated and duty bound by my oath to file legislation to repeal those measures in the Act that infringe upon the Second Amendment to the US Constitution." 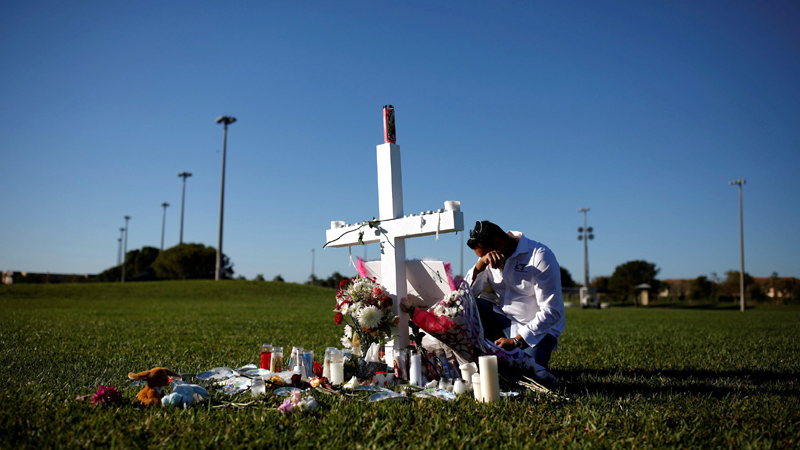 The National Rifle Association, the nation's largest pro-gun special interest group, filed a lawsuit against the state of Florida last year immediately after the post-Parkland laws were passed on similar grounds. Parkland shooting survivor David Hogg spoke out against the new bill in a livestream on social media Tuesday evening, encouraging his followers to email Hill. "It's f---ing ridiculous what he's doing," Hogg said. "For the thousands of kids that went up to Tallahassee and worked their a--es off to get these laws passed, the least they can do is try not to reverse them their first year back in office." Hogg also said that reversing the bill "is going to cost lives and the blood is on your hands." A request for comment from Florida Gov. Ron DeSantis was not immediately returned.